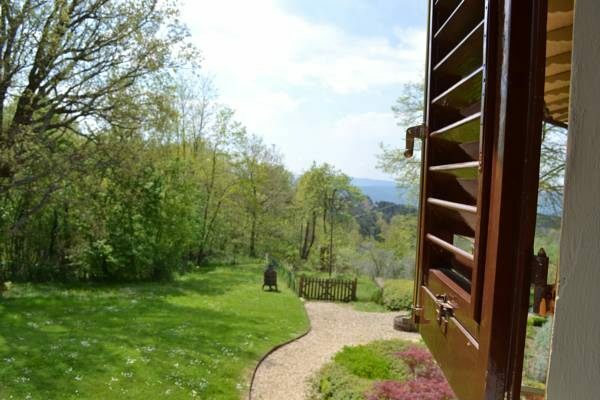 Surrounded by greenery our bnb offers a pleasant view on the hills overlooking Florence. Surrounded by vineyards and olive trees is the perfect place to have a relaxing vacation, tasting local dishes at our restaurant. Our rooms are equipped with all comforts. All rooms feature a private bathroom, closet room, tv and fridge, hairdryer, courtesy kit with olive oil based products (of our production). The apartment, recently builded, is located in front of the pool and has a private area with barbecue and armchairs. The entrance leads to a large living room with kitchen, double sofa bed, bathroom and a double room with closet. In our Bnb we have an area with sauna and a pool room available for a fee. There is possibility to rent mountain bikes to ride around the hills or towards „Passo della Consuma“. We offer yoga classes lasting one hour, ayurvedic holistic massages or sessions of reflexology (you can book earlier by mail or on-site depending on the teachers availability). You can also book guided horse ridings for adults and kids. Just 10 minutes from the BnB, in the nearby village of Pontassieve, you can find the train station where train to „Santa Maria Novella“ in Florence passes every 20 minutes (the stations‘ parking is free 24h/7). By request we can book you a private tour in the city of Florence and to visit „Uffizi“. 15 minutes from us there is the fabulous area of Casentino, with Poppi, La Verna, and Monastero di Camaldoli: you will be amazed. 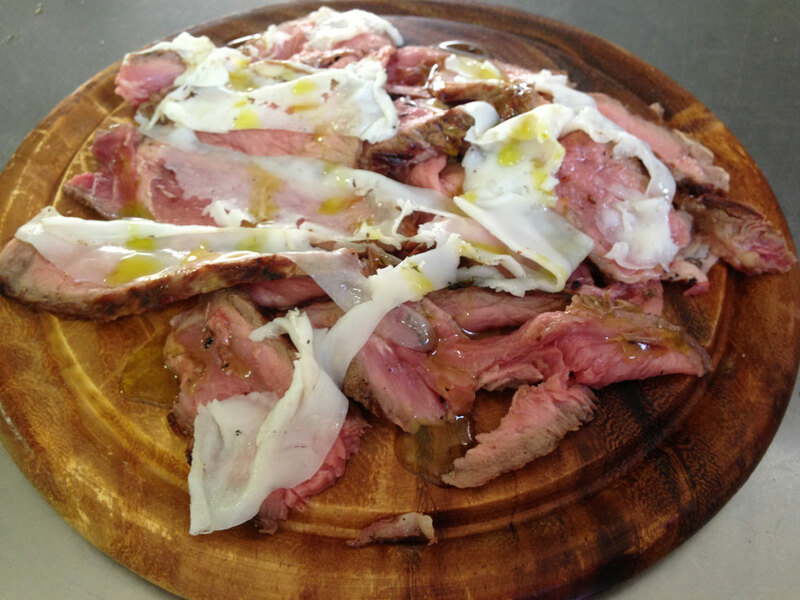 For lunch you can go to Passo della Consuma to taste the famous „schiacciata alla fiorentina“ in all its tastes variants. In addition to all the beautiful shops in the centre of Florence, just 15 minutes by our BnB you can find a great brands outlet „The Mall“, and 40 minutes from us you can also visit the equally famous „outlet di Barberino“ where you can shop at amazing prices. 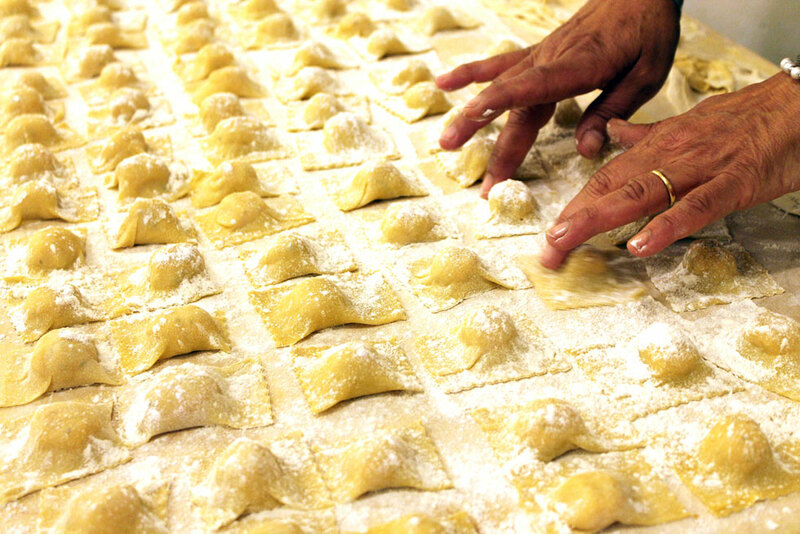 Our philosophy of "Toscan kitchen"
...Sometimes pictures that bring me back to my childhood appear to me, memories where as a curios and greedy child i find myself in the kitchen where my dear mom Maria, with mastery pulled the dough strictly by hand to make her wonderful ravioli (that us children appreciated more raw than cooked) or her maccheroni (this is how we call tagliatelle in my house). My father set the table whistling happily because later our dearest relatives, with whom we could spend a nice day, would arrive. Years have passed, a lot of them, but during my life i always tried to bring back in my family this wonderful sensation of being all together eating good homemade things and maybe i did it because i "tempted" them all with my dishes making them realize how much i love them. What i wanted to do in this little restaurant is that: make simple things, genuine and made with love, because for me the secret is "cooking with love". I hope that you can feel what my dishes want to transmit, like i was feeling it while eating what my mom, and even before my grandmother have prepared for me... and remember that "at the table you do not get old"!! Made and prepared by us, our products are all grown BIOLOGICALLY ..
Our products, prepared by us, are organically grown. We have fruit trees and the vegetable garden, we make pasta and desserts at home, the rest are km 0 products. We prepare baskets and gift boxes for Christmas, with pick-up from us or in Florence. we ship all over Europe. To get information about our rooms and / or our apartment or to request information about our restaurant you can contact us by phone or send us a detailed email of your request and we will get back to you right away!